Our Personalized Military Pride Ceramic Coffee Mugs are attractive Personalized Gifts. Create your own Personalized Coffee Mug for your soldier’s branch of the Military with your own personal message. 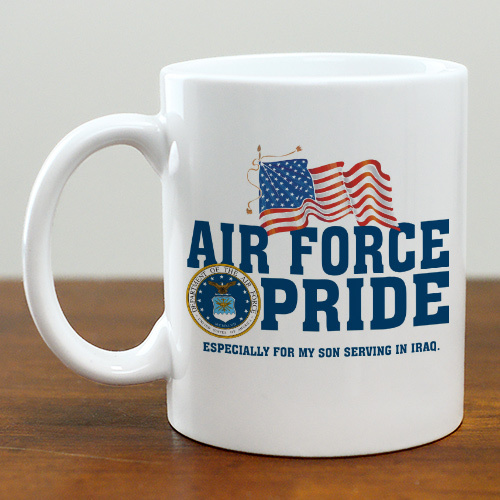 Honor those close to you with this attractive Armed Forces Ceramic Mug personalized just for you. 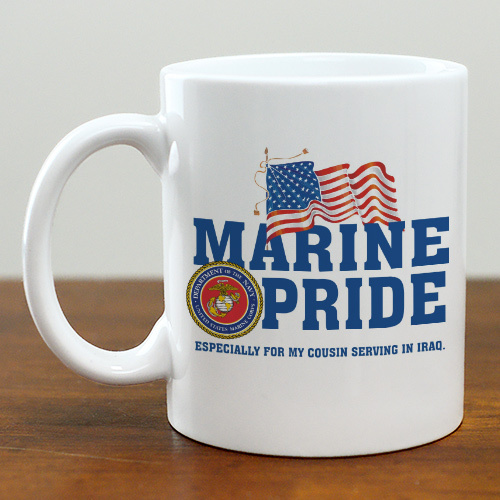 Our Military Pride Personalized Ceramic Coffee Mug is Dishwasher safe and holds 11 oz. Includes FREE Personalization! Personalize your Military Pride Personalized Ceramic Coffee Mug with any one line custom message. Please choose military branch.